Broken or leaky plumbing fixtures can disrupt your daily routine and make it difficult to get things done in the kitchen or bathroom. In addition, if you don’t get the problem fixed fast, sometimes a simple fixture problem can turn into a major plumbing disaster. Luckily, Top Dog Plumbing offers a full range of fixture repair and replacement services to help you get your sink, shower, toilet, basin, hose or any other faucet back to working order quickly. When you have a broken fixture, you want it fixed NOW. We understand. Our team of plumbing experts will get out to your home or office quickly and get the job done fast. However, we never cut corners. The job will be done right the first time—every time. At the end of the day, you want a dishwasher, faucet or other water element you can count on to work when you turn it on and off every time. We’ll make sure we provide that. In some cases, it is more affordable and preferable to install a new fixture than to repair your old piece. While it can be hard to say goodbye, we’ll work with you to choose an attractive replacement and install it “just right” so it can serve you well for years to come. Our installation team works quickly and offers affordable, dependable service. Are you renovating your kitchen or bathroom? 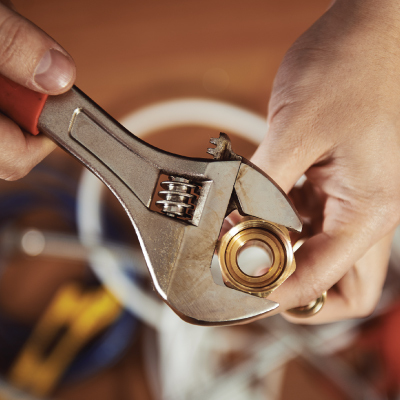 Repairing your fixtures can be an important step in making sure your renovations are successful. Many of the renovation projects you take on are more complicated than you think—potentially leading to damage to a fixture.. The last thing you want to do is attempt a DIY project and wind up causing serious damage to your countertop, backsplash or walls. Let us complete the job—fast and efficiently. When you think of fixtures, you may think of your bathroom or kitchen. At Top Dog Plumbing, we work with these as well as outdoor faucets and fixtures Whether you have a leaky hose faucet, or you are installing an additional spout for gardening or a water feature, we can help. We’ll have you up and running again in no time. If you would like to learn more about our full-service fixture repair services, or to talk to a professional about any plumbing problem you may have, reach out to us at Top Dog Plumbing today. We are Boise’s #1 choice for all your plumbing needs.